Have Water, Fire, Smoke, or Mold Damage? 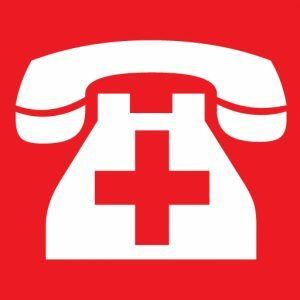 The professionals at HiCrest Restoration and Cleaning understand that any type of damage to a home or business can be traumatic for anyone connected to the private or commercial property. Losing vital equipment or, worse yet, priceless family heirlooms and keepsakes can be emotional and even devastating. We want you to know that we are Missoula home restoration contractors who are here to help. Our fully trained and certified professionals will deal with all the necessary cleanup and repair so you don’t have to. We get that this is an intense experience, and we operate with that in mind. Though any item damaged beyond repair will have to be removed and discarded, we will do our best to make sure that all of your possessions which are able to be repaired or recovered are done so with the utmost care. We will carefully evaluate all affected areas and structural components to be sure that all compromised materials are properly replaced. Our goal is to ensure your property is a safe and healthy environment once again. Our HiCrest Restoration technicians are fully certified by the Institute of Inspection Cleaning and Restoration Certification (IICRC) and the International Cleaning and Restoration Association (ICRA). Big storms can cause big damage to your home. When you need storm damage help we’re here for you. We can even help with the insurance claim process making sure you get the most back from your insurer, instead of you having to fight with them after a tragic loss. That’s an extra element of stress you just don’t need in your life at this moment. Our storm disaster repairs are done like your home is our own home. Heavy Snow on your roof can cause leaks. Hail Holes in your home are never good. Call us. Floods Messes of this magnitude need professionals. Even to prevent future mold, flood restoration is key for the long term. Lightning is one of the worst types of damage. Heavy rain leaks need to be fixed correctly to prevent mold & health hazards. The professionals at HiCrest Restoration handle all restoration jobs, meaning we can handle both residential and commercial emergencies. Whether you just need commercial or industrial carpet cleaning, or a major restoration, we’ll show you what your best options are for your situation. Don’t let just anyone clean your property, it’s best to have fully insured, licensed, & certified restoration professionals to show you the way. One of our top priorities is to make sure that our customers are happy and taken care of during difficult times. We will carefully evaluate all affected areas and structural components of your estate to be sure that all compromised materials are properly replaced. Our top priority is to ensure your property is a safe and healthy environment again, and to do so in an affordable way. All of our disaster remediation technicians are fully certified to restore and or clean your property. We aren’t just certified by anyone either, our credentials come from the very top cleaning associations within the industry. Letting the true experts clean and restore your property has significant advantages. Whether it’s a small carpet cleaning or a major restoration, it needs to be done right. We can even file the insurance claim for you. Ask us today. The professionals at HiCrest Restoration & Carpet Cleaning handle all jobs from residential to commercial as well. Whether you just need carpet cleaning, or a major restoration, we’ll show you what your options are for your situation. Don’t let just anyone clean your property, it’s best to have fully insured, licensed, & certified professionals to show you the way. One of our top priorities is to make sure that our customers are happy and taken care of during difficult times. We will carefully evaluate all affected areas and structural components to be sure that all compromised materials are properly replaced. Our goal is to ensure your property is a safe and healthy environment again. HiCrest Restoration technicians are always on standby to help out when needed. We know that emergencies can’t wait, so we’ll be there to help no matter the time day or night. Call HiCrest Restoration for all of your emergency restoration needs. Sewage Cleanup needs to be done the right way. We know if you have a sewage problem that it needs to be taken care of extremely quickly and there’s no room for error here. This is another one of the worst disasters possible, and can pose serious health concerns for you, your family, and/or your business. Don’t let just anyone clean your property, it’s best to have fully insured, licensed, & certified professionals to show you the way. Choose HiCrest as your Missoula sewage cleanup company for experienced professionalism to get the job done right. Reach out to us today. We have a passion for helping our Western Montana community get their lives on track.